In opening our minds to the possibility of realising newly imagined and public urban spaces for all, we should not lose sight of the many hidden or quasi-public places that only cities can and do provide for the pleasure of the few. Treasuring and valuing hidden city spaces, spaces that are unfamiliar, perhaps even forbidden, is necessary for an understanding of how cities really work, what they really offer. 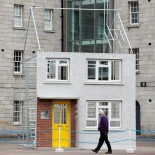 Hidden urbanism is no less urban or valuable because it’s invisible to all but the very few. The urban sauna captures perfectly this hidden urbanism. Hidden urbanism, because sometimes it is forbidden, is often lost forever when it physically disappears from the reality of city life. It vanishes into the folk memory of the very few. The recording examples of hidden urbanism before they are lost forever opens the space, visually or conceptually at least, to everyone. Whilst there is a long-established tradition amongst conservationists and architectural historians in archiving our historic built environment, much less attention is paid to recording the loss of more recent spaces, places perhaps on the margins of interest or acceptability. 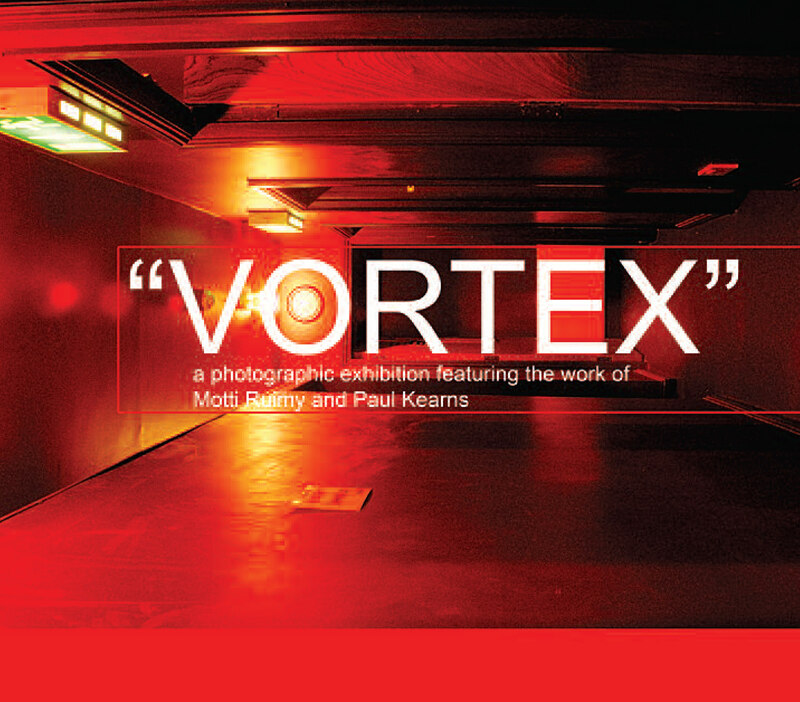 In vortex we fuse both this urban archival tradition and concept of hidden urbanism, and present photographs of the former men-only sauna at Great Grand Street in Dublin 1. The images capture the vacant ambience of the abandoned space, the emptiness of the once thriving four-storey labyrinth, evoking a sense of place and, in so doing, broadening interest and perhaps an understanding of alternative social life within the city . The geography of the sauna building can be viewed as a microcosm mirroring the urban dynamic and language of the city itself. messages and signage are posted to assist those negotiating the maze, where private and public space co-exists side by side competing and merging simultaneously. The corridor becomes the street, the rows of cubicles a terrace temporarily housing privatised space, and the ‘glory hole’ a purpose-built, dedicated public playground. Just as successful public spaces thrive on choice, density, proximity and diversity, so too does hidden urbanism. Hidden urbanism, whether we care to look or acknowledge, understand or value, is very often nothing more than a testimony to the anonymity of the ordinariness of everyday life in ordinary buildings. 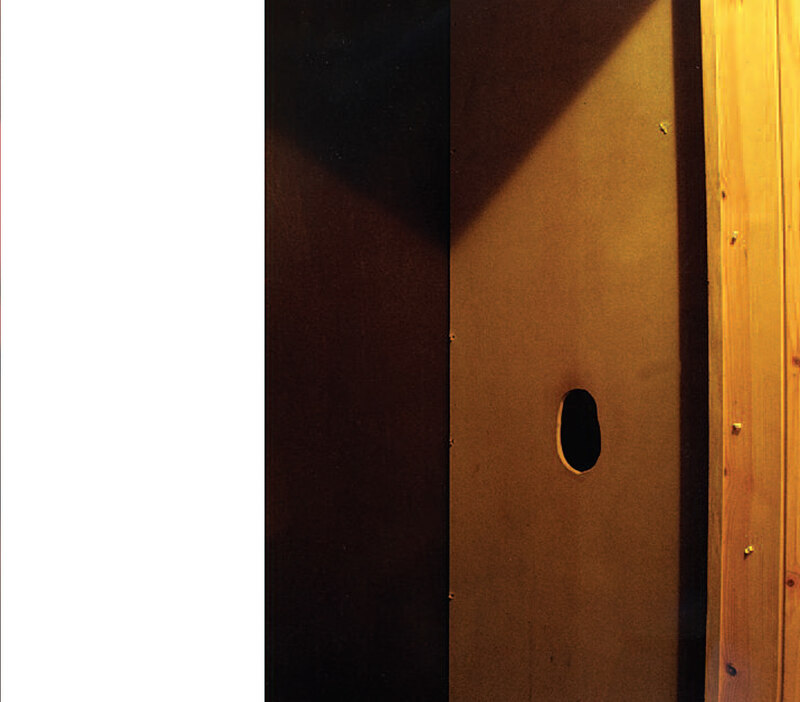 This entry was posted on September 11, 2002 by Redrawing Project in Exhibitions, Redrawing Dublin and tagged Sauna, Vortex; Photography;.